A partnership between the Overseas Workers Welfare Administration (OWWA) and social media titan Facebook will educate overseas Filipino workers (OFWs) on how they may build businesses and ensure their safety online. An initial target of 1,500 OFWs trained prior to their departure has been set for the project's launch starting on July until the end of the year. Facebook and OWWA will determine the mapping of the trainees after their trial run ends. Most OFWs have access to the internet and social media as they use it to communicate with their loved ones back in the Philippines. They also rely on the pieces of information they get mostly from social media sites. 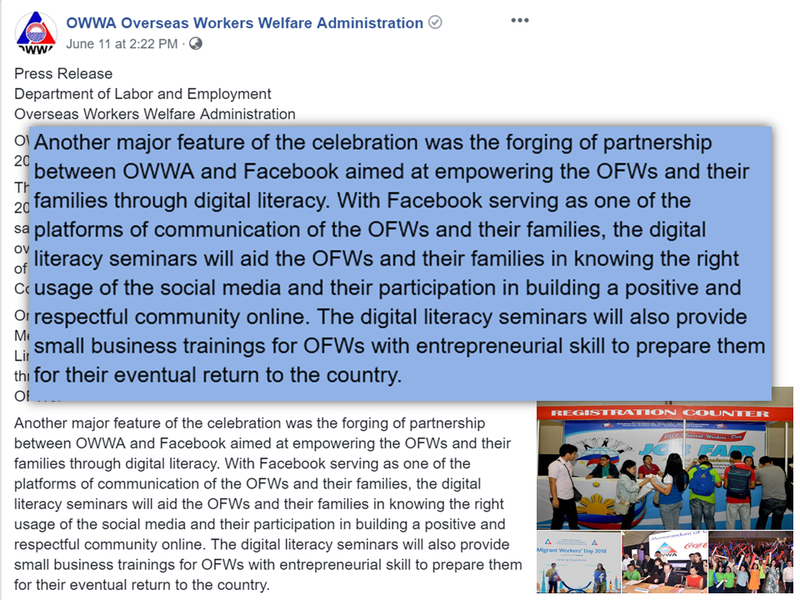 Overseas Workers Welfare Administration (OWWA) together with social media platform Facebook as joined together to help equip overseas Filipino workers on how to start a business and how to remain safe on the Internet. 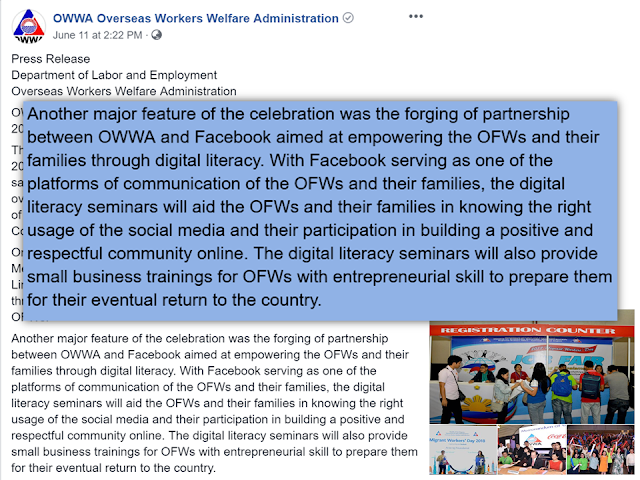 OWWA and Facebook Philippines have officially become allies during Migrant Worker’s Day to urge OFWs to join them on their digital marketing workshop maximize the use of social media to start and grow their small businesses. They are building a program which aims to enhance the digital literacy among OFWs before their deployment abroad by helping them understand primarily about their safety, identify fraud and determine fake news. 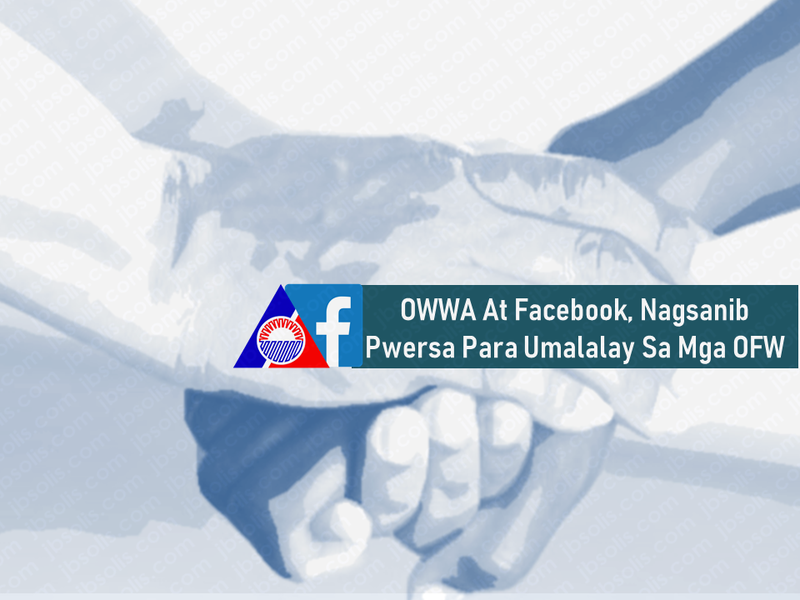 “It’s valuable to us in terms of making our OFWs and families better equipped to combat bullying, to identify fake news, and make their own value judgment or otherwise in terms of empathizing or working on any kind of information they receive through Facebook,” OWWA Administrator Hans Leo Cacdac explained. "Some people out there are unfortunately out to scam you, to trick you, to make money off you," Facebook APAC director of community affairs Clair Deevy said. 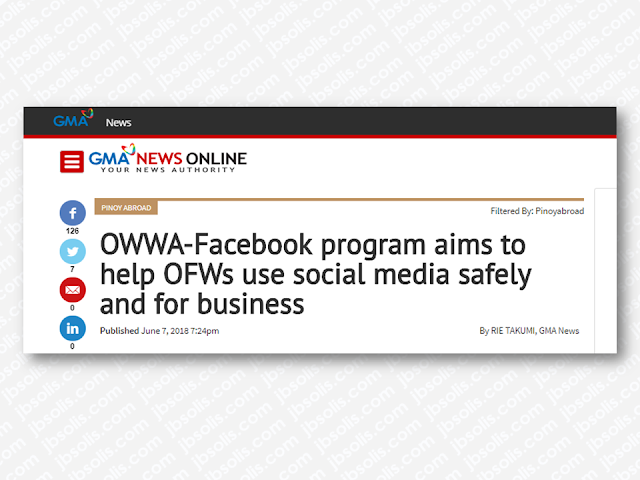 OWWA personnel will be trained in order to coach OFWs on how they may use Facebook and even Instagram to promote and conduct their businesses. Among the topics include how to set up and manage a Facebook page for businesses, learn what time most customers visit the page, the page's demographics, and how to take photos of a product to induce sales. "The training itself is broken down to little five-minute training modules on here's what you can do in your first 30 days. We really evolved this thanks to partners to make this practical and as hands-on as possible," Deevy said. Cacdac said OFWs can express interest in signing up for the offline training course before, during, and after their deployment overseas. "We will open up all these lines for anyone who would be interested and we will try to put the participation listings all together and tap the specific OFW circles as the seminars come out," he said. Are You Required To Cancel Your Emirates ID Before Going Home For Good?